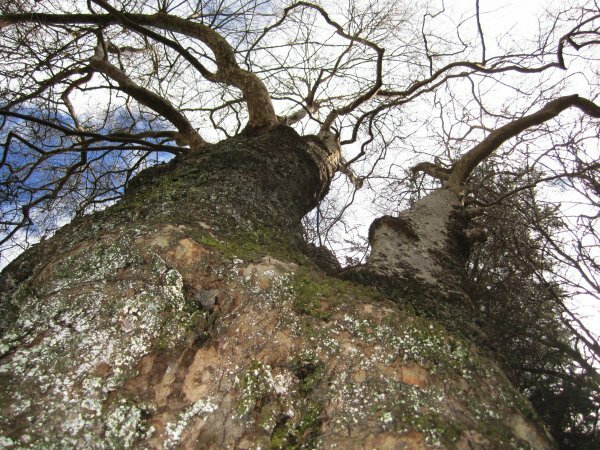 The tallest of several large London plane trees in the reserve. 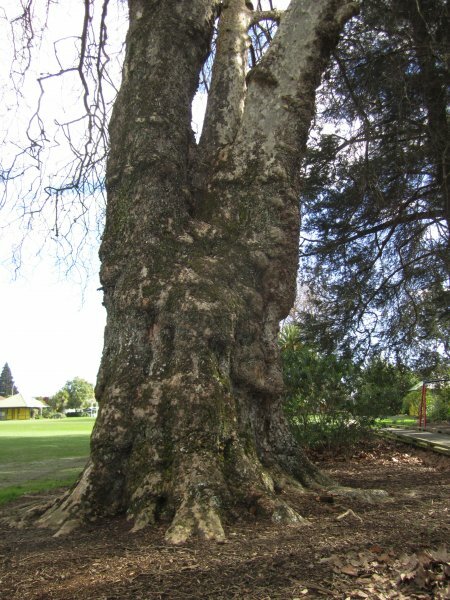 The tree was incorrectly identified as an Oriental plane in a 1969 survey of notable trees  of the district and subsequently included in the book Great Trees of New Zealand  as the tallest Oriental plane in the country (Cadwallader, B.G. 2010). Great Trees of New Zealand, 1984, S.W. Burstall and E.V. Sale, page 264. A partially suppressed canopy from adjacent trees. 08 Sep 2010 Cadwallader, B.G. 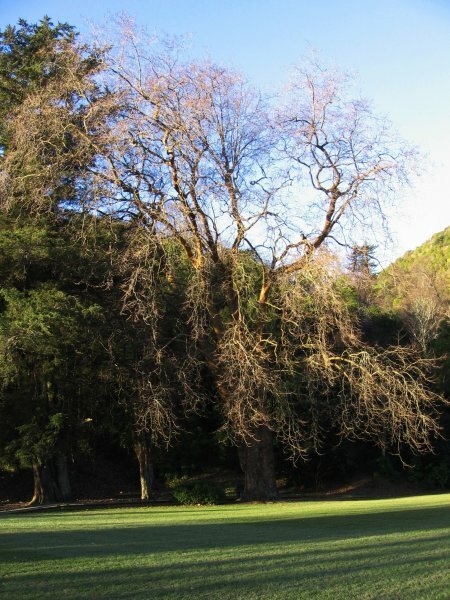 On the northern side of the park near a large Macrocarpa.